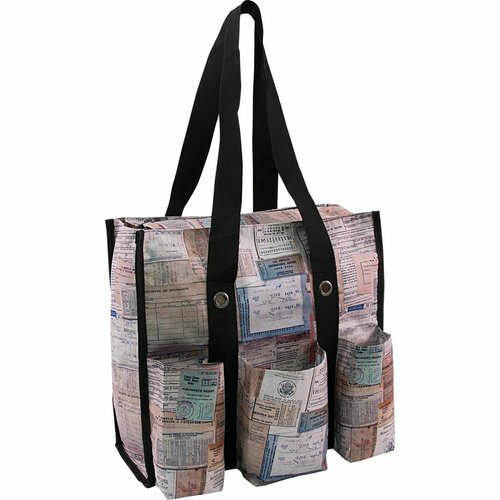 Scrapbooking totes are a great way to stay organized and keep your scrapbook stuff in order when traveling. Totes come in a variety of shapes, colors and sizes. 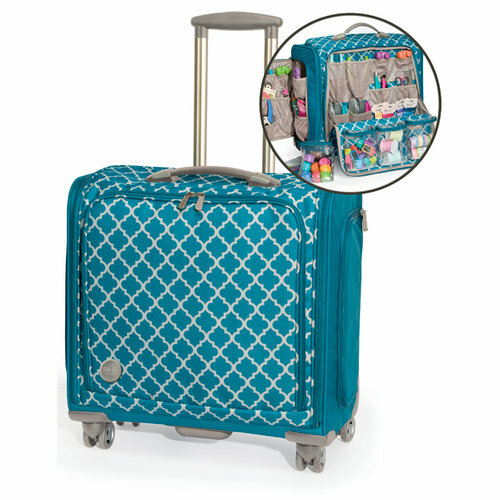 One of the more popular totes are the rolling totes which have wheels on them. These allow you to carry a lot of materials in one tote without having to put the burden on your shoulders. 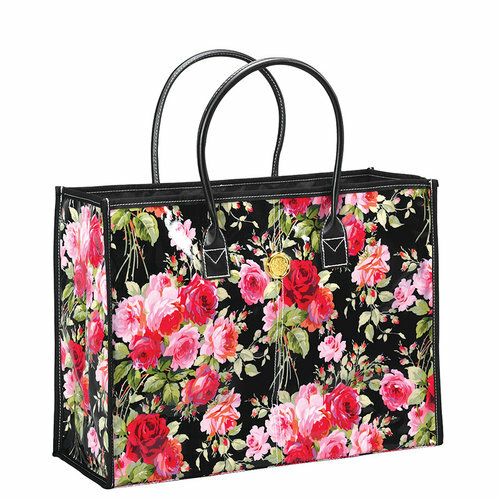 There are also messenger style totes which are similar to suitcases and allow you to carry lots of materials with a lot or room and storage. When choosing a scrapbook tote you have to look at what you like to bring with you on the road. If you bring just small tools, albums and accessories you may only need a small tote. If you like to bring a die cutting or other machine with you it may require that you bring a rolling or larger tote that is easier on your back. 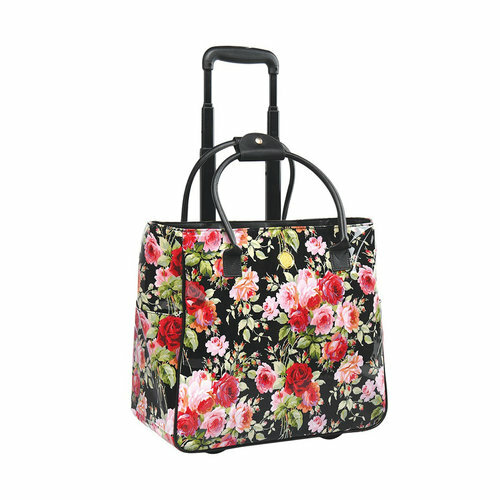 You're going to be rolling in style when you use the Rose Collection Rolling Tote by Anna Griffin. 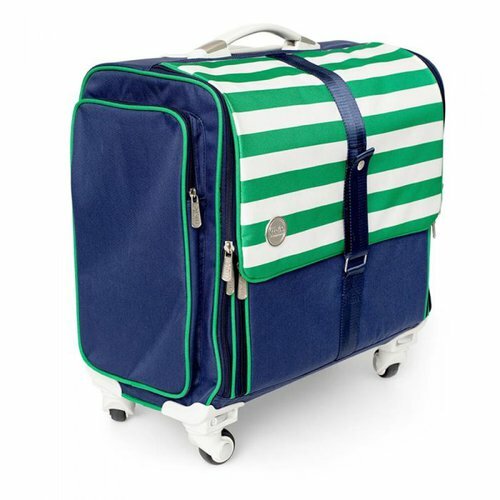 The package includes one laminated fabric rolling bag that features a 20" retractable handle. 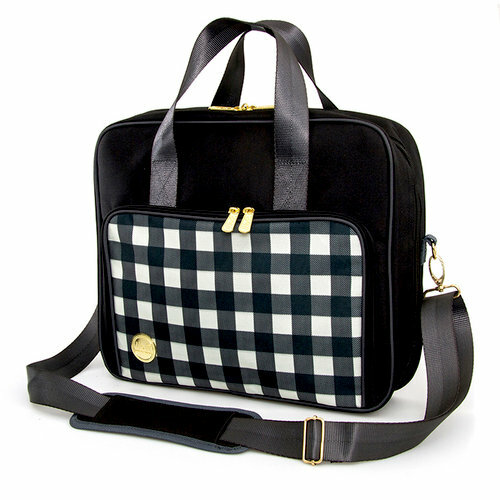 This tote has a padded laptop sleeve and measures 16" x 16" x 8". 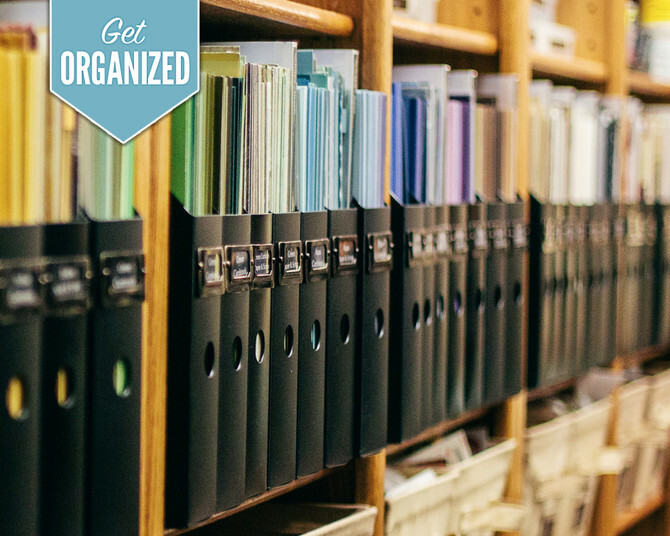 Achieve the organized scrap space of your dreams in just 27 lessons with help from organizational guru (and Scrapbook Founder) Jill Davis. In this online class, you'll see hundreds of full-color photos of Jill's craft studio and you'll learn practical, beautiful, and efficient storage solutions for all your scrapbook and craft supplies. Jill breaks down the many storage options available and includes helpful tips on how to make your space fit your style, how to store your scrapbook paper and so much more. Your clean and efficient workspace will clear the way for your creativity to shine and you’ll get more crafting done than ever before.